Congratulations to Al, winner of yesterday's contest! 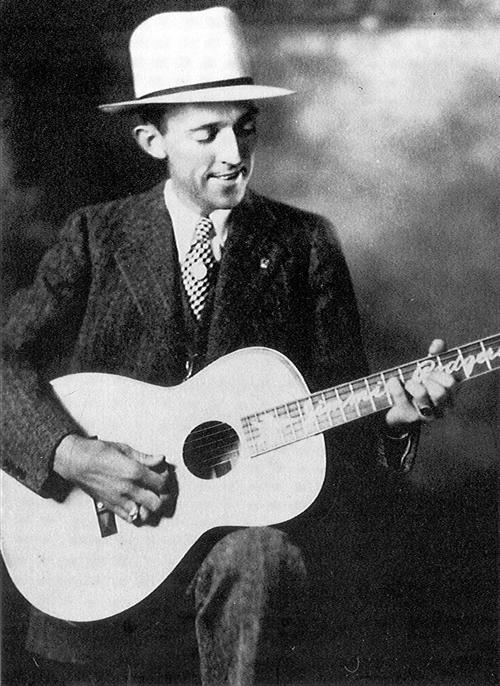 Yesterday's Person-of-Mystery was Jimmie Rodgers, "The Father of Country Music." After all the great discussion about classical music the other day (particular thanks to all who sent in suggestions - I've tried to reply to all on that post's comment page) and having Tea Week on OPOD (reasoning to follow), I figured that there would be no more appropriate person than Jimmie for the POM. I kind of feel like Al should be the one writing this post after his personal connection to Rodgers, but I'll fill you in on what I know. Jimmie Rodgers was born in Meridian, Mississippi, into a railroad family. Jimmie's father, Aaron, was a foreman on the Mobile and Ohio Railroad. Unfortunately, Jimmie's mother died when he was a child and he was sent to live with various relatives until his father remarried. 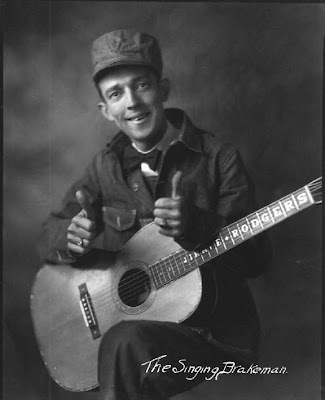 In his very early teens, Jimmy showed an aptitude for entertaining as he twice tried to leave home and start a road show only to be brought home by his father who got him a job as a water boy for his father's railroad crew. It was here Jimmy learned to play guitar, frequently playing with black workers or hobos. 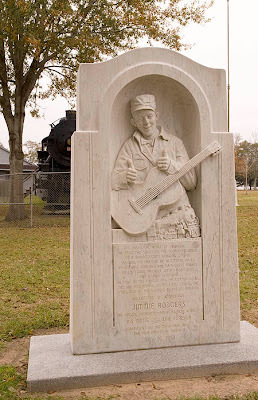 A few years later, his brother, who was a conductor for the New Orleans and Northeastern Railroad, got Jimmie a job for that railroad as a brakeman, later he was also known as the "Singing Brakeman." However, in 1924, he contracted tuberculosis. As a result of the illness, he was unable to do the more physical labor on the railroad, so he organized a new show and took to touring the south. Somewhere along the way, he heard Swiss yodel group singing at a church and decided that he wanted to incorporate that sound into his music, which was already a blend of blues, jazz, and folk music. Rodgers was really responsible for creating a new sound that he liked to call the Blue Yodel that we recognize today as early country music. Bouncing between entertaining and railroad work, he traveled throughout the southeastern and southwestern US, until finally landing up in Asheville, North Carolina, in 1927. While in Asheville, Jimmie did a performance for a local radio show and later that same year cut his first records. One song in particular, "Blue Yodel," better known as "T for Texas," became a runaway hit. You can listen to it HERE. Like I said earlier, having music in my head already it was only natural that I would select Jimmie as the POM with Tea in Texas running through my head. This song is also responsible for another nickname, "The Blue Yodeler." 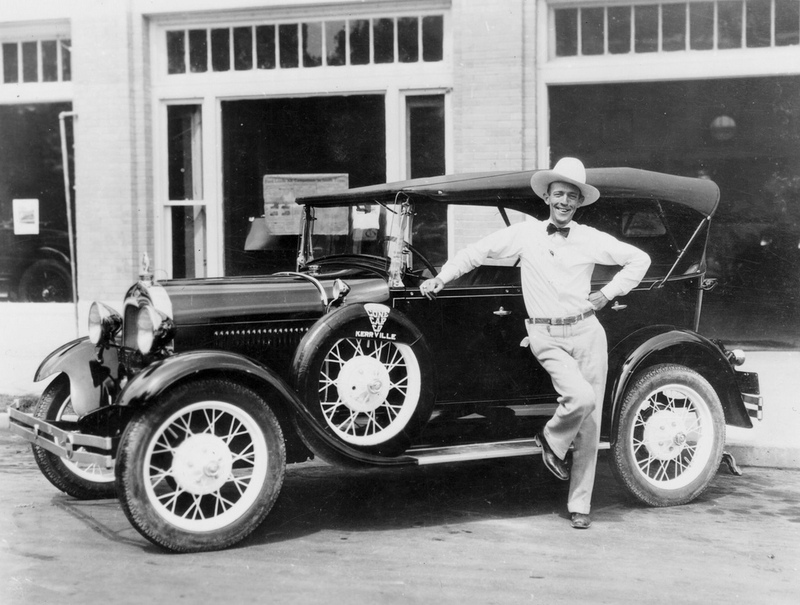 Rodgers became so popular that he made a movie, performed with other famous entertainers like Louis Armstrong and the Carter Family, and even joined Will Rogers for a Red Cross benefit tour. By 1932, he had curtailed much of his touring touring (largely for health reasons), but had weekly radio show in San Antonio, Texas. 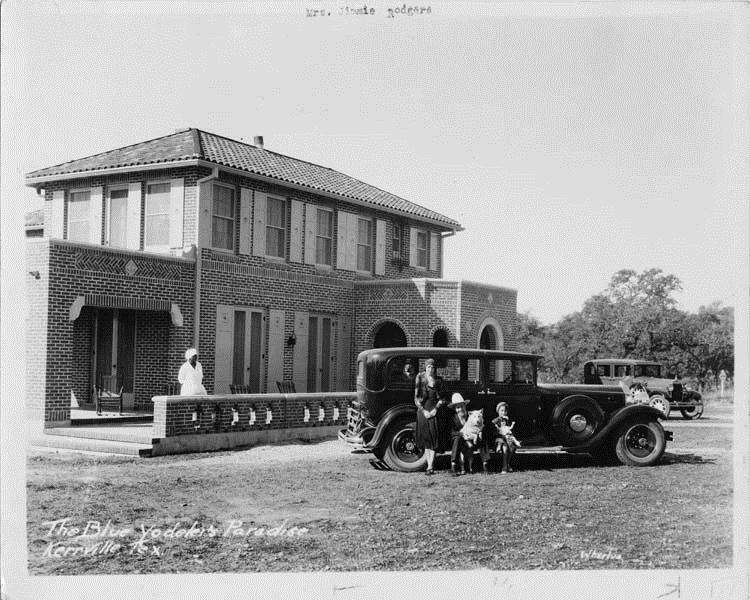 He eventually built the home Al spoke of in Kerrville, Texas, to attempt to treat his TB. 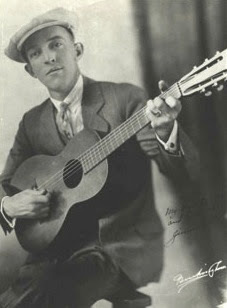 In 1933, he made a trip to New York City to make some new recordings, but was so weak, he had to record sitting down and take rest breaks between songs. Two days after finishing these recordings, he died while staying at the Taft Hotel. He was only 35. What got you up so early today? If Roger asked me that question, I would have to say "Because this is my day off and I want to enjoy ALL of it". Roger, wasn't up early, just set the post time ahead yesterday evening so I wouldn't have two posts the same day. I normally get up between 5:30 and 6 am, although I like to sleep in until 6:30 or 7 on the weekends if I get the chance. What a sweet story of his life. 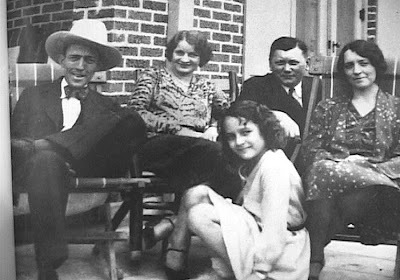 The above picture is NOT with the Carter Family. It's with his manager and his wife. Anon, thanks for the clarification. I appreciate it and made the correction in the post. Thanks for the help! That's Ralph and Anita Peer with the Rodgers family. Peer was Jimmie's discoverer, publisher, manager, and record producer!